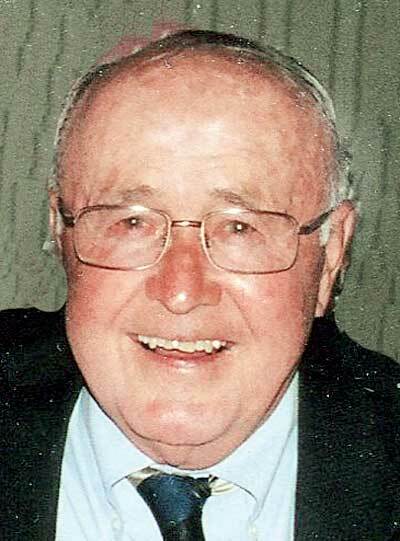 Robert W. “Pork” Mendenhall, 93, of Wheeling, WV passed away July 19, 2018 in the Wheeling Hospital, Wheeling, WV. Robert was born November 25, 1924, in Parkersburg, WV the son of the late George A. and Effie M. Simmons Mendenhall. In addition to his parents, he was preceded in death by his brother, Dr. James D. Mendenhall and his wife, Mickey, his brother in law, and sister in law, Harry and Ruth Foose, his brother in law, Harry (Tiny) Holmes, his sister in law, Adelaide Luchetti, his nephew, David Thieroff, and his special loving cousin, Jeanie Caruthers. Robert graduated from Parkersburg High School in 1942 and immediately following enlisted in the United Sates Navy. He was engaged in the European Conflict of WWII until the end of War. Upon his return, he accepted a wrestling scholarship to West Virginia University and graduated with a political science degree. It was there he met his wife of 66 years, Sue Ann Thieroff of Wheeling, WV. Robert began his work career with Libbey Owens Ford Fiberglass in Parkersburg, WV as a sales representative. He came to Wheeling in 1955 to become the General Manager of W Va-Ohio Motor Sales, Inc. in Wheeling which he later purchased. It is one of the oldest family owned Mack Truck dealerships in the country. In 1984 he and his son, Thomas, started Clarksburg Mack Sales and Service, Inc. He was a partner in Tower Lines, Inc.
Robert was a member of the Board of Directors of Half Dollar Bank, United National Bank-North, and United Bank, Inc. of West Virginia. He was a member of the Wheeling Elks, the Masonic Fraternity, The Wheeling Court 13 Of the Royal Order Of Jesters, Wheeling Country Club and long time member of St. John’s Episcopal Church, Wheeling, WV. His stellar athletic career was highlighted by his induction into the West Virginia University Wrestling Hall of Fame and the United States Wrestling Hall of Fame for the state of West Virginia. In addition to his wife Sue, Robert is survived by his children, Sandra (Rob) Brunswick of Bridgeport, WV, George (Kathy) of Peters Township, PA., Robert S. (Marlene) of St. Petersburg, FL and Thomas (Cheryl) of Wheeling, WV; his grandchildren, Andie, Robbie, Will, and Tommie Brunswick; Mackenzie, Robert, and Emily Mendenhall; Bobby, Eric (Allie) and Lee Mendenhall. Also he is survived by his brother in law and sister in law, George and Darlene Thieroff, his brother in law, Robert Luchetti and his sister in law, Sally Holmes. He was Uncle Pork to sixteen nieces and nephews and a wonderful coach, mentor, and friend to so many young wrestler, athletes, and employees in his life. A family service with interment at Greenwood Cemetery, where Moundsville Veteran Honor Guard will conduct military graveside services, will be held at the convenience of the family. In addition, a celebration of Robert’s life for family and friends will be held at Wheeling Country Club on Saturday, August 4th 2018 from noon till 3 p.m.